– half-day Artisanal Affairs Tour to visit the artisans of Fez and see how they produce their wares. This is a hands-on tour that gets rave reviews. No shopping involved! Jessica’s tour was a major highlight. It was good to meet her and we admire what she is doing. Having her look after us on our first day was a great way of getting confidence to walk around on our own and actually talk to people, and I would recommend it to anyone as an introductory trip. John & Victoria Hambley, UK. A similar Artisanal Affairs Tour of Sefrou, just outside Fez, is also available. On this tour you’ll visit two fondouks (caravanserais) in the medina that have been restored and opened to craftsmen and women. The ingenuity and skill on display here are remarkable. You will also visit thread button makers, tailors and weavers as well as blacksmiths and ploughmakers. Finish off with lunch on the square opposite the blacksmith. – Photography tour: make the most of your stay by learning how best to photograph the medieval architecture and the bustle of the medina. 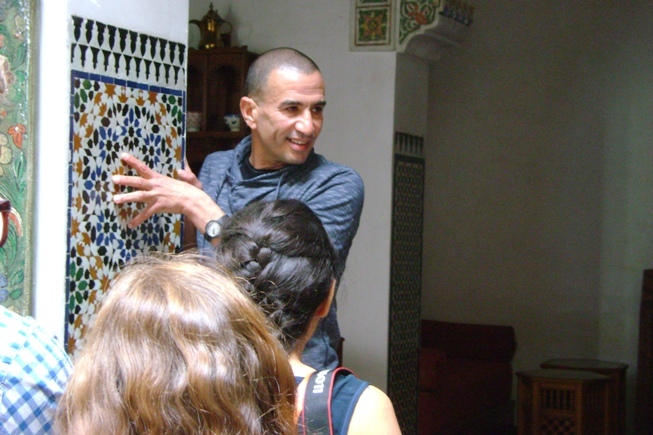 Join internationally-renowned Omar Chennafi for a walk-about practical tour. 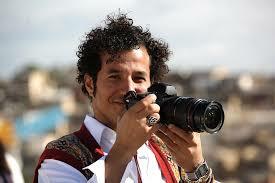 Please note this tour is not available during the Fes Festival of World Sacred Music, as Omar is the official photographer for the Festival. – Cooking class: start in the souks of the medina to shop, and then learn how to cook Moroccan-style, blending spices and producing a superb meal. Classes can be half a day or up to three days. Longer classes include olive oil and wine tastings. – Tasting Trail: join a local for a half-day walk through the medina, visiting three different markets and tasting as you go: spices, argan oil, a wonderful array of honeys and lots of different street food. – Jewish Quarter: Join renowned photographer and writer Catherine Bendayan for a specialist tour of the Mellah, the old Jewish quarter just outside the medina, known as Fes El Jdid. Catherine will explain the different architecture found here and take you to the Ibn Dayan Synagogue museum. The Jewish Cemetery is another highlight of this tour. Catherine is also available for photography tours. 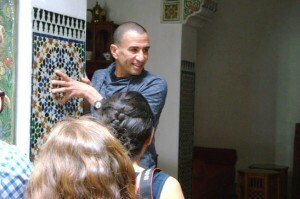 – Architectural Insights: A half-day tour with Alaa Said, architect and house restorer of note. Unravel the composition and surface of his own house, Dar Seffarine, and then step out into the medina to visit some of the spectacular monuments to discover their architectural magnificence and the historical and social reasons for the decorative interior design. Have a look at the CNN video here to see some of the splendid architecture explained by Alaa, and some of the artisans of Fez. Now you’ve seen all those spectacular mosaics, learn to create your own designs at the Craft Draft Islamic Geometry course (about two hours). Also on offer at Craft Draft are courses on leather embossing, bookbinding and brass etching, ancient crafts of the Fez medina. Master craftsman and musician, Hamza Fasiki, maintains that ‘everyone is an artisan’. Morocco has a rich tradition of herbal medicine. Learn more at the Atlas Apothecary with their short courses on herbal remedies, ‘potion-making’ for children, and even foraging trips into the Middle Atlas Mountains. Visit these three towns in a full day tour, or split them over a couple of days. Meknes is an Imperial City with a small medina, impressive architecture and interesting museums. Don’t miss the magnificent stables and granaries on the edge of town. The UNESCO World Heritage Site of Roman city Volubilis is definitely worth a visit. This was the breadbasket of the Roman Empire and the rolling wheatfields and vineyards around Meknes lie at your feet. In Moulay Idriss, climb up to the top of the village for fabulous views over this sacred pilgrimage site. At olive harvest (November) there are oil tastings at the local communal olive press. There are several options for lunch on this day trip: Walila Farm is a few minutes from Volubilis and serves excellent meals al fresco, a simple pavement cafe in Moulay Idriss is good for their famous kefta (meatballs) or spit-roast chicken served with bread and salad, the roof terrace at Dar Zerhoune, or at the exclusive Scorpion House, both with spectacular views of the town and surrounding mountains. 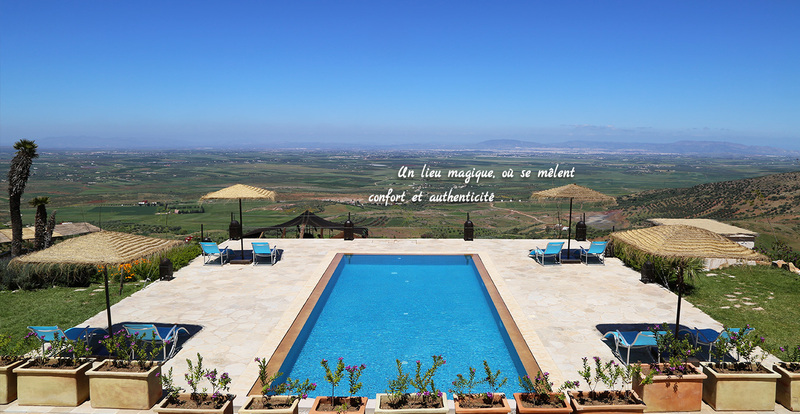 You can also stay overnight in Meknes or Moulay Idriss. – Tuesday is market day in the Berber town of Azrou and is the perfect day to explore the town and its wonderful carpets. Then take a walk in the cedar forests and look out for macaques (Barbary Apes). If you’re serious about buying carpets, handiras and cushion covers, we’ll arrange a visit to an expert dealer in Azrou. A platter of fresh Atlas trout at Hotel Les Truites in Immouzer Al Khandar makes a great lunch on the way back to Fez. -Take a day tour to the Middle Atlas town of Sefrou and the small village of Bhalil. Sefrou has an interesting medina with a rich Jewish heritage. In nearby Bhalil, take a walk and visit the cave-dwelling population (troglodytes) and take tea with the locals. There is excellent hiking in the region. You can also stay overnight in Bhalil. -New on our menu is a visit to the small town of Guigou is some 90km from Fez, 1500m up in the Middle Atlas. It has a souk on Sundays, when people come from all over the region to buy and sell their produce. It’s definitely worth a trip to get a glimpse of local life. – For a quiet day round the pool, head to a country retreat near Immouzer al Khandar. There’s wonderful food and stupendous views, as well as classes in cooking and bread-baking. If you can’t tear yourself away, there are three rooms to stay over. 20km outside Fez in the foothills of the Rif Mountains lies the small village of Moulay Yacoub, blessed with hot springs. Just outside the village on its own private road is the newly renovated Vichy Thermalia Hotel & Spa. Spend a day in the hot pool, vaporium, beauty salon, hammam and massage rooms with various hydrotherapy treatments and massage. Stay over in the elegant hotel if you’d like special treatments. It has luxurious modern rooms with balconies, a restaurant and bar, gym, exercise studio, unheated outdoor pool and children’s playroom. 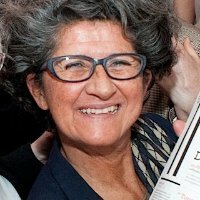 © 2019 www.conciergemorocco.com. All Rights Reserved.